The software applications use may contain “cookies”. Cookies are mainly used to make the client’s navigation on the website easier. Cookies can provide information regarding navigation within the website and allow the operation of certain services that require the identification of the client’s navigation path through the several pages of the Website. Any access to the website, regardless of the presence of cookies, the type of browser, the operative system used (e.g. Microsoft, Apple, Android, Linux, etc…), the Host and the URL the visitor is using are recorded, as well as the data on the page requested. In any case, the user can set his own browser so that he can be informed when he receives a cookie and therefore he can decide whether to eliminate it or not. Further information as regards cookies can be found on websites of browser suppliers. Cookies are short text strings stored in the user’s computer when certain web pages are visited on internet. On most browsers, cookies are enabled, the necessary information to change cookie settings in the browser is specified below. Cookies are not harmful for the IT equipment you are using. We do not store any personal data in the cookies we generate, they only contain only information required to improve your permanence on our website. For example, they are useful to identify and solve problems. Further information regarding cookies can be found on the following websites: www.allaboutcookies.org and www.youronlinechoices.eu. If you do not use any of the abovementioned browsers, select “cookie” in the relative section of the guide to discover where you can find the cookie file. Click on the following link to change the settings relating to Flash cookies. These are created and can be read by external domains. The software used creates a cookie so as to generate user statistics. The data generated by this cookie are stored at Google Inc.
Any requests relating to this data processing must be sent to the Data Controller (Google Inc.). The information obtained allows only the identification of the browser and it is not possible to identify the user in any way whatsoever. How this works: some web pages include a remarketing code that allows the reading and configuration of browser cookies so as to determine the type of announcement that the user shall see according to the data regarding his visit to the website. The remarketing lists created are stored on the Google server which stores all the IDs of interest-related cookies. Further information relating to the remarketing tool is available via this link: https://support.google.com/adwordspolicy/answer/143465?hl=it&ref_topic=3123080&rd=1. 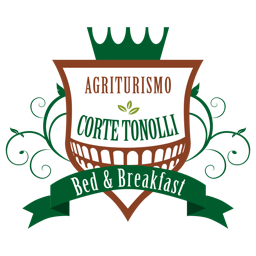 For further information relating to cookies, please contact the following e-mail address: privacy@cortetonolli.it and you will be given more detailed information. Any personal data processing-related queries must be sent to the Data Controller (Google Inc.).